MacGregor, part of Cargotec, has introduced C-HOW, a simulation platform that allows customers to run particular equipment through various simulated conditions and operations. "The C-HOW software is extremely flexible," says Frode Grøvan, Sales and Marketing Director for MacGregor Advanced Load Handling. "Simulation detail can be varied depending on the level of functionality required: C-HOW is modular and scalable, so modules can be added or removed as requirements change. Furthermore, its use is not limited to MacGregor equipment; it can be tailored for products from other manufacturers installed on our customers' vessels." Although MacGregor has only just introduced C-HOW to the market, customers are already expressing serious interest. 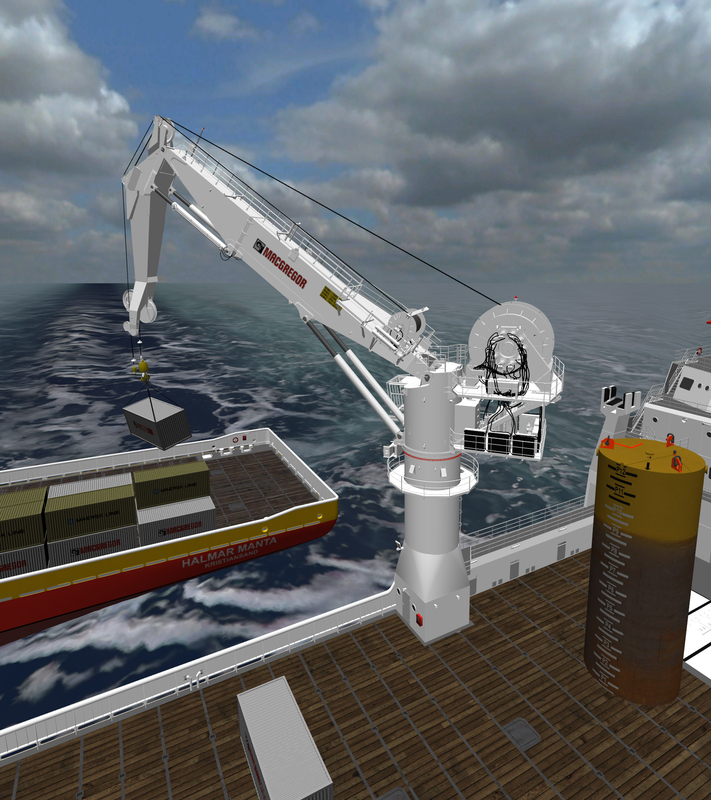 At a basic level, C-HOW can be used as an interactive calculation tool, while at the other end of the scale it can be incorporated in immersive training hardware, such as in the advanced crane simulator that MacGregor built at Kristiansand in Norway. "Simulation can help at every stage of a newbuilding project, from concept studies and layout plans to training, operational planning and, later on in its life, modifications and upgrades," adds Mr Grøvan. "It is all about getting access to realistic information relating to complex interactions so that better decisions can be made and skills can be attained long before risk becomes a factor. aspects such as increased availability, contingency planning, calculation and presentation tools, control options, flexible and immersive training, 'black-box' analysis and much more." MacGregor's simulation products and services can be modified, together with the physical system, all the way to the end of their useful working life. "This way, your investment never becomes obsolete and it always performs in the best way possible, even under changing commercial and operational circumstances. We use simulation technology to help design your product, why not use the same tools to test, train and plan for its future use?"